Hind Beauty Salon are looking for skilled beauticians to join their chain of dynamic salons throughout the UK. 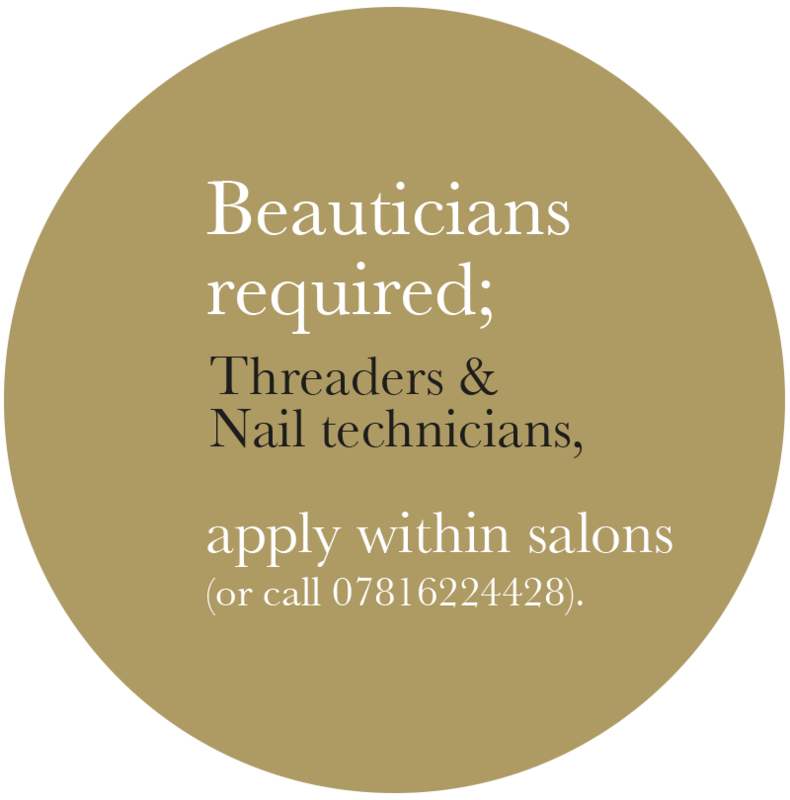 We are hiring threaders and nail technicians specifically, but candidates with an all round knowledge of beauty treatments will also be considered. Threaders and nail technicians will have the relevant salon and industry experience to work under pressure in a busy retail environment. Preference will given to the most qualified and experienced beauticians however, we are also interested in meeting people who are new to the industry who have a serious attitude to learn and grow quickly. Excellent rates of pay with commission performance based incentives on top, with opportunities of additional training and education for exceptional candidates who show a real willingness to work hard and commit to our brand and company.